Since 2006, I have completed over a dozen triathlons, including five Olympic distance, two half and two full Ironman, and countless sprints. All with a torn rotator cuff. Just over a year ago I had surgery to repair the tear then took a pass on the 2009 racing season. While others were training, I was rehabbing and gradually reintroducing my body to the sport. Taking time away to heal forced me to rethink my approach. I am 59 years old, so my focus changed from piling on the training miles to improving technique. Working smarter if you will. To improve technique I embraced first Chi Running and then Total Immersion. I have been practicing Chi Running for four years and my body has responded with improved times and no injuries. TI has taken longer. Overcoming 50 years of muscle memory has proved to be a bigger challenge than I first imagined. Until last July, when I attended a TI Open Water Workshop in Lake Placid, NY with Terry and Betsy Laughlin. The focus was on calm observant swimming, body-sensing, matching the strokes of other swimmers, relaxing in a crowd with a focus on enjoying the water and making gradual and continual improvements. The following Monday at a weekly mini-tri in Lake Placid I had an opportunity to practice what I had learned. This was to be my first foray of the year into a competitive environment so I was curious as to what I would experience. Swimming observantly, for the first time during a race, I found myself noticing how many people seemed at odds with the water—more kicking and thrashing than swimming. I decided to focus on swimming long, keeping my head down, making sure I was using proper arm position and staying quiet. I also began to look for someone whose stroke I could match. A swimmer came by who had good extension and really nice ‘marionette’ arms (one of our focal points from the clinic). Must be another TI student I thought. Then I looked again and realized that it was my 15-year old daughter, Jane! When I got to the buoy, I decided to try the turn we learned in TI clinic—and it worked! As I was coming back, the sun was on my right so I had to breathe on my left. Not my strong suit, but I simply rolled at the core and it was OK. I noticed I was not able to sense what my left arm was doing so I’ll work on that next time I’m out. I exited the water in 10 minutes. What was unusual was I was not the least bit winded. This is important as it made it much easier to get out of my wetsuit. I was on the bike and out of the transition area in under 2 minutes. What happened next was totally unexpected. I was so focused on body sensing and being relaxed that I maintained that on the bike. I relaxed and focused on how I was sitting on the bike, where my head was and having a good pedal stroke. Focusing on relaxation translated into more speed with surprisingly little effort. During the 12-mile bike I (the biker who never passes anyone) passed 25 people. After another fast transition to the run, I continued body-sensing during my Chi Run. The result was the easiest race I’ve ever done, yet13 minutes faster than my previous best on this course. What was most important was not the time but the new way I learned to race. Moving forward I will focus not on the clock but on how I’m feeling and moving — i.e. process, not outcome). Improved performance, it seems, follows improved mindfulness. Michael finishes 2008 LP Ironman in 15:14. 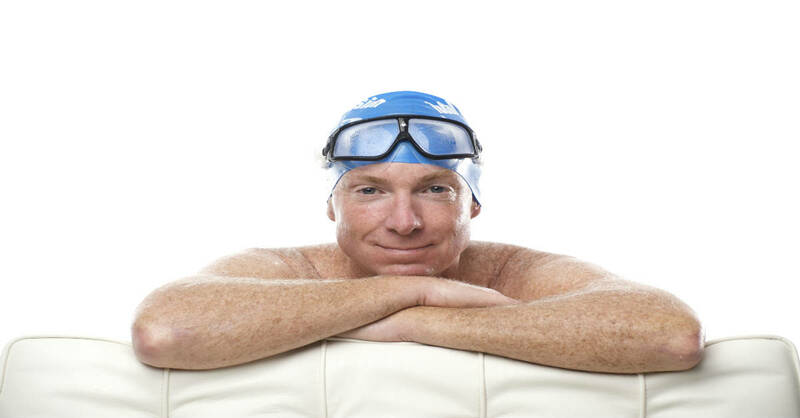 Visit Michael’s website www.go2ctsonline.com to read inspirational essays on triathlon and personal development, or to learn about his Corporate Business Consulting, Outplacement Services, One-On-One Coaching, and Inspirational & Educational Speeches. we loved reading the article, you totally knocked it out of the ballpark! I have sent a link to my friends, and will surely be returning back for more updates.